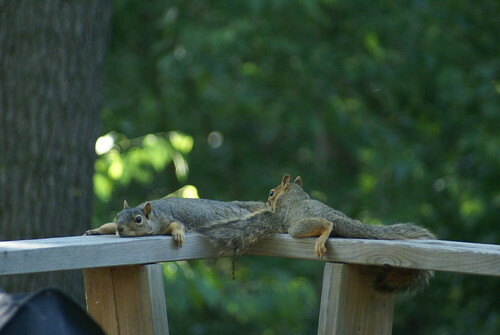 I agree, it is THAT hot out there, and agree with the squirrels, lying low might be the only way to beat this heat. That is adorable... and sad... It's so hot!